Saturday, February 2, 2019 will for a long time remain in the memory of residents of Makoko community in Lagos State. 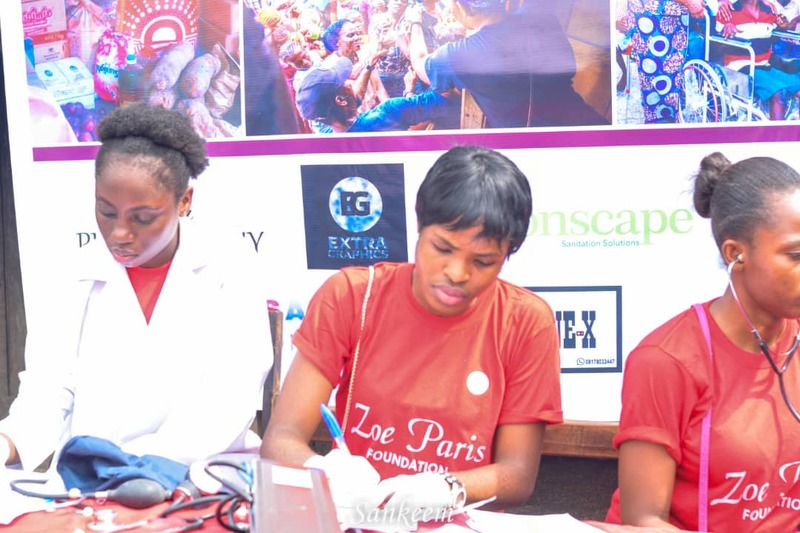 This is because on that day, a registered NGO in the country, Zoe Paris Foundation, embarked on a free medical and school aid outreach in the area. Makoko community is adjudged one of the biggest slums in Nigeria with no health facility. During a tour of the community, Zoe Paris Foundation provided aids in form of free medical checkups, drugs, health talks, mosquito nets and stationeries to the inhabitants. Founder of the organisation, Ms Light Jachike, explained that the motivation behind the outreach was that she believes everyone should have a reason to live, as every life is important and deserves better. “We are here to reach out to the men, women and children of this community. Makoko has no health facility and have a primary school that caters for only 290 children amidst the vast population. We believe that everyone should have a reason to live even those at the grassroots, the less privileged, and those living with disabilities. “Due to the high rate of malaria in the area and other water borne diseases, we provided and made available free medical screening and treatment for the people of Makoko. We also provided stationeries to support the children in the school,” she said. “We have partnered with the likes of Missions Aid International, Visionscape Group, and other organizations to make this project a success. We have great hope that in the future, we can impact more lives like we have done today. We welcome more organizations, donors, and volunteers to join us on this journey to cleanse the slums in our society,” Ms Light concluded.